Operation Jaley, during which four Canadian Soldiers died, was the largest joint Canadian-American operation since the Korean War. Op Jaley, which lasted for three days, began Tuesday with a special forces assault. The operation eventually involved about 2,000 coalition troops and a large number of coalition aircraft. It included several firefights between the Taliban and Canadian and Afghan forces. The Canadians, along with Afghan and American forces, were dispatched to interfere with insurgent attempts to organize to "attack the population, threaten Kandahar City and ultimately threaten the elections" that are slated for late August, said Brigadier-General Jon Vance, commander of Canadian Forces Afghanistan. Speaking specifically about what happened in Zahri, which has been a constant source of danger and death for Canadian troops, the general said: "We did fight on a couple of occasions and we caused far more insurgency casualties than they did to us. It certainly is not a body count effort but we do not operate as if we are a bunch of potential victims. We are a force to be reckoned with when we operate in an area like this." While expressing great regret and sorrow at the loss of four of his soldiers Vance said: "I believe the lasting result of this will be to force the insurgents to work much harder to re-create their IED capacity. This is one step in many of the way to securing the elections in August." Among the goals of Op Jaley was to find IED making facilities and disrupt Taliban preparations for the Afghan fighting season, which usually ramps up in late March or early April. The operation was mostly conducted in lightly populated areas that have been abandoned by farmers - who have fled to the relative safety of Kandahar City and surrounding communities while Taliban command-and-control operatives have moved in. During the 3 day operation enough explosive material to make between 30 and 50 homemade bombs was discovered this week during a major combat operation in southern Afghanistan in which four Canadians soldiers were killed by improvised explosive devices. Trooper Marc Diab was remembered Tuesday as a cherished son, friend and mentor who in his brief 22 years touched many lives and gave his own in the name of peace. Hundreds of mourners packed a church in west-end Toronto to remember the fallen soldier, who was killed March 8 in Afghanistan by a roadside bomb. Diab's father paid tribute to his selfless son in an emotional eulogy. "Marc, you once told me, 'I will make you proud of me,"' Hani Diab said. "Well, you really did it, son." Marc Diab was born in Lebanon, and his family moved in 2000 to Canada, where Hani Diab said his son was proud to serve his adopted country. "You paid the ultimate price - your life - for the cause that you believed in: to have a better world for everyone," the soldier's father said. "I hope the price that you and your many comrades have paid will be enough and that we will see a peaceful world flourishing from Afghanistan to Canada." Diab had been planning to propose to his girlfriend Mary Barakat when he returned to Canada. The priest at Tuesday's service said the 21-year-old woman was too distraught to deliver a eulogy for the man she had hoped to spend her life with. Friends remembered Diab as someone who was always striving to make them laugh, from singing loudly in the streets to impersonating the character Borat. Diab led a summer camp through his church, Our Lady of Lebanon. During the service and through messages in the funeral program, the teens he mentored remembered a young man who made a lasting impression on their lives. Military personnel and police officers were on hand to salute Diab's casket as it arrived at the church. Diab's mother Jihan Diab has said her son dreamed of a military career from the time he was a boy in war-torn Lebanon and wanted to bring peace to the world. 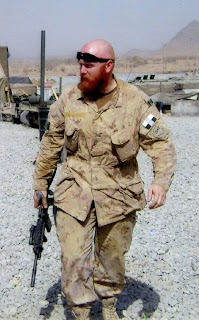 Diab was the 112th Canadian soldier to die as part of the Afghan mission since 2002. He was a member of the Royal Canadian Dragoons based at Canadian Forces Base Petawawa in Ontario near the Quebec border. Dedicated To Marc Diab, From Amir. We're all going to miss you buddy. Video by Amir A. Master Corporal Jody Mitic along with three other soldiers, were on a routine early morning patrol, in search of insurgents in the Panjwayi District. The three other soldiers passed through a door in a mud wall separating two grape fields without incident, but Jody wasn't so lucky. For some unexplained reason, his foot found the land mine the others had missed buried beneath the Afghan soil, it only took a split second, an instant in time, to change his life forever. His right foot was gone and his left foot could not be saved. One of the medics who treated him at the scene, Sgt. Alannah Gilmore, is now his girlfriend, and the two have a six-month-old daughter named Aylah. But while he has had to undergo months of painful rehabilitation and is relegated to a desk job with the army, Mitic says he is content with his new life. "Life as an amputee is a whole new lifestyle," Mitic said Monday on Canada AM. "But meeting Alannah and then getting together and then having little Aylah, I wouldn't trade any of it to have my legs back. I'm pretty happy with the way life is now." 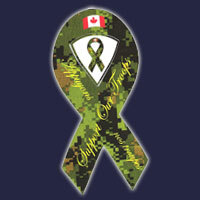 Upon his return from Afghanistan, Mitic underwent extensive rehabilitation at St. John's Rehab Hospital in Toronto, a facility that has treated many injured soldiers. "Military folks, we're pretty much hard chargers, mission orientated for the most part," Mitic said. "And when I got hurt my mission was to get back to life, to get things back to normal." Mitic was fitted for prosthetic legs so he could continue running, a common activity for soldiers to keep fit. He was part of a military team at Sunday's Achilles Canada five-kilometre race, a fundraiser for disabled runners. Mitic hoped to raise $100,000 for new equipment for the hospital. He also shaved seven minutes off his run time in only his second time completing a five-kilometre run with his prosthetic legs. Chief of Defence Staff Gen. Walt Natynczyk, who joined the military team for the run, praised the soldiers who remain committed to military service despite suffering such severe injuries. "They go and serve and make tremendous sacrifices, their family makes sacrifices, and when they do get wounded they still have that sense of duty and service," Natynczyk told CTV Toronto on Sunday. "That's why they're out here." According to Natynczyk, more than 100 Canadian soldiers have lost limbs since the Afghan mission began in 2002. Many thanks to Mrs. Greyhawk's Dawn Patrol at MilBlogs for the link to this story of a remarkable, unforgetable man. Follow the link below to read the remarkable story of a remarkable man, his wife, Soldiers and others who loved him. It's a long read, but very worthwhile. You'll feel almost like you know him and maybe you'll wish you did. Michelle Brown speaks about her husband's death and life: Warrant Officer Dennis Raymond Brown - who was one of the three Canadian soldiers killed by an improvised explosive device in Afghanistan on March 3, 2009. KANDAHAR, Afghanistan - A roadside bomb killed three Canadian soldiers and injured two others Tuesday after it exploded near their armored vehicle northwest of Kandahar City. Killed in the explosion were Warrant Officer Dennis Raymond Brown, a reservist from The Lincoln and Welland Regiment, based in St. Catharines, Ontario, Cpl. Dany Olivier Fortin from the 425 Tactical Fighter Squadron at 3 Wing, based in Bagotville, Quebec, and Cpl. Kenneth Chad O'Quinn, from 2 Canadian Mechanized Brigade Group Headquarters and Signals Squadron, in Petawawa, Ontario. If you are looking for a way to help improve the lives of people in Afganistan through communications and learning you need to check out Fab Lab Jalabad, a project put together by Amy Sun, the MIT team leader for many Fab Labs around the world including the one in Jalalabad. Fab labs provide widespread access to modern means for invention. They began as an outreach project from MIT's Center for Bits and Atoms (CBA). CBA assembled millions of dollars in machines for research in digital fabrication, ultimately aiming at developing programmable molecular assemblers that will be able to make almost anything. Fab labs fall between these extremes, comprising roughly fifty thousand dollars in equipment and materials that can be used today to do what will be possible with tomorrow's personal fabricators. Fab labs have spread from inner-city Boston to rural India, from South Africa to the North of Norway and now to Jalalbad, Afghanistan. Activities in fab labs range from technological empowerment to peer-to-peer project-based technical training to local problem-solving to small-scale high-tech business incubation to grass-roots research. Projects being developed and produced in fab labs include solar and wind-powered turbines, thin-client computers and wireless data networks, analytical instrumentation for agriculture and healthcare, custom housing, and rapid-prototyping of rapid-prototyping machines. For assistance with ordering, installation, training, and process and project development MIT participates in selected partnerships. However, to scale support for these functions fab labs are increasingly being organized in regional networks, globally coordinated by a Fab Foundation being established in Norway. Along with the Fab Foundation, a Fab Fund is being launched to provide global access to capital and markets for businesses incubated in fab labs, and a Fab Academy is being accredited for distributed degree programs taught in the labs. Launching a new fab lab requires assembling enough of the hardware and software inventory to be able to share people and projects with other fab labs, posting the Fab Charter to provide context for doing that, and contacting fab-info@cba.mit.edu to be added to the fab lab network. You can find out more about the Jalabad Fab Lab project by following the links to Amy Sun's reports on the activies and developments at Tim Lynch's Free Range International. Amy's first report on the project is Fab Lab Jalalabad and she follows up with two more reports Fab Surge Summary Part 1 : Value = (Cost)^-1 and the latest Fab Surge Summary Part 2: Projects will give you the information necessary to make an informed decision as to whether this a project that you might like to be invloved with.